For whom is an English course good in Brazil? How long do you study English in Brazil? Have you ever had the interest to study other languages like Spanish, French or Italian? Maybe you thought about Mandarin, after all, we are experiencing a Chinese invasion. But you arrived in the United States and couldn’t communicate effectively. What happened to al those many years of English study? This has been the reason many Brazilians have lost golden opportunities around the world. Some Brazilians actually realised this whereas others were still in the dark. I was a victim as well. I found this out after living as an expat for many years. 1) In Brazil, (almost) everybody studies English but nobody speaks it. A survey done in 2011 by Instituto Nacional de Estudos e Pesquisas Educacionais Anísio Teixeira (INEP) — Anísio Teixeira Research and Studies for Education Institute — showed there were 57 million students attending the Primary and Secondary educational system in Brazil. 34.7 million in Elementary School and 9.1 million in High School. During this period, Brazilian students learn English and Spanish in Public and Private Schools. Because of this, Brazil has one of the largest numbers of non-native English students in the world. Unfortunately, neither Public- nor Private Schools are able to educate students in speaking, reading, listening and writing English adequately. 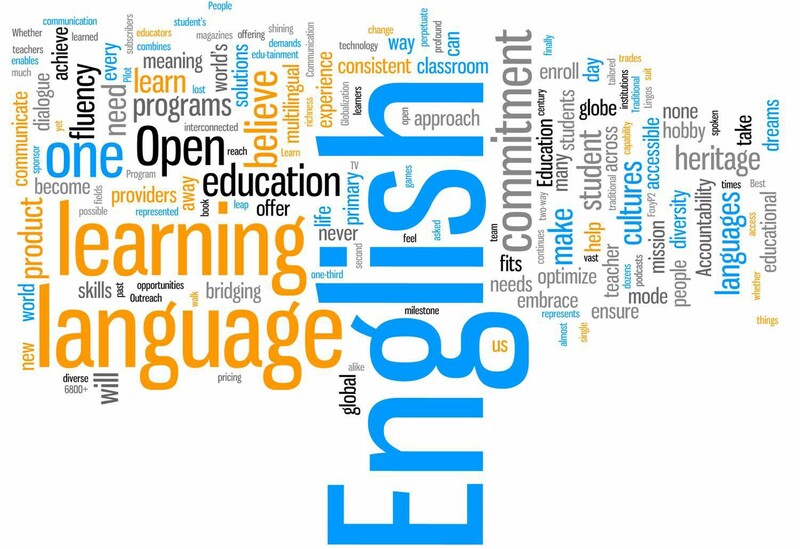 If you are really serious about learning English properly you have to attend a private English tutoring institute like The English Language Centre … and pay exuberant fees. In Brazil, there are around 70 companies that exclusively teach other languages with a network of more than 6000 affiliates. Education First — a company present in 55 countries and primarily teaching other languages as well as interchanging students to different countries —, ranked Brazil at 38 out of 60 countries with a low proficiency in English. A large number of language companies in Brazil testify that the language teaching methods of both public- and private schools failed. The presence of so many private language institutes doesn’t really help the general mindset and confidence of the man on the street concerning language education in Brazil. The biggest problem, unfortunately, is: in Brazil everybody studies English but nobody speaks it. 2) The Portuguese accent is mostly inaudible to other countries people so… no grammar please — PROPER speaking skills. How many times have you heard Brazilians complain about not being understood when speaking English in a foreign country although they are quite knowledgeable of English? Many, many times. This has been a reality for Brazilians. The reason for this is what I call the “phonetic issue”. Teachers in Brazil are not concentrating on the audible correct pronunciation of their English student but rather on grammar primarily. 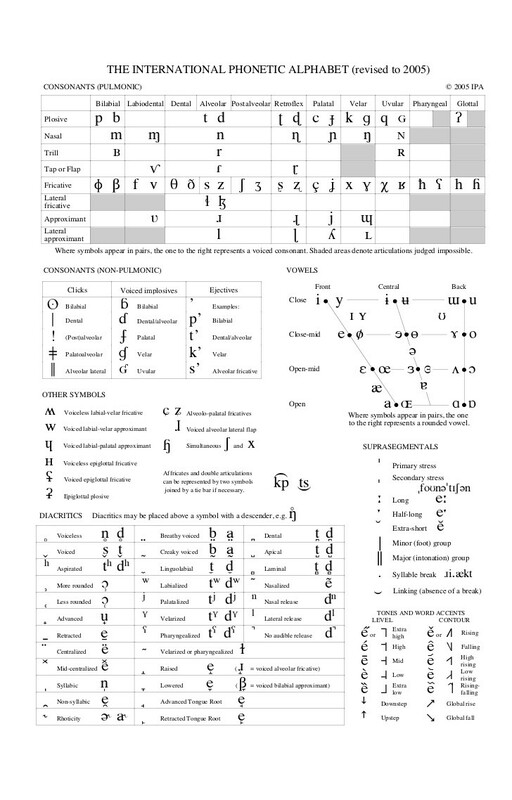 The Standart of International Phonetic Alphabet. It appears after an entry in any good dictionary. Shows you how to pronounce a word. To find a teacher that can actually teach the correct phonetical speaking skills is rare. Many good teachers never travelled outside Brazil. This can be the reason why they fail at it so terribly. Brazilians do not always realise how strong their Portuguese accent is when speaking English. Imagine an American speaking Portuguese with an English accent and you will understand. The phonetic issue is worse in the countries where English is the second official language. The biggest problem is the differentiation of accents on the syllables of words. E.g: in English the word “independent's” accent comes on the first and third syllable ‘INdePENdant”. But in Portuguese it is “indepenDENte” So it will only be natural for a Portuguese speaking person to pronounce the English word as “indePENdent”. Which will be foreign to the ear of the Native English speaking person! Your conversation can be a disaster if you don’t understand the correct way to accentuate the English speaking word. Another big issue is, of course, phonics. If a Brazilian teacher teaches English by using Phonics and not the English alphabet, the student would understand the pronunciation process much better. In Brazil, students are given content to learn. They are never given the opportunity to think-, or find out for themselves. Students are taught grammar, and a lot of it, for years, and if they do not give up, they will eventually be taught how to speak. This is almost like teaching someone to drive a car by showing him pictures and explaining the innermost mechanical workings of the engine for years and years and then only will he be allowed to get behind the wheel. The natural process of obtaining useful knowledge is absolutely the opposite. Where I live, in the Middle East, language centres have classes four times per week. These classes are 2h 30min each. The students are therefore exposed to mainly spoken English for 10 hours a week. This high exposure to the English language enables the student to finish the Fundamental-, Intermediate-, and Advanced Courses in at least 2 years. The impact on the learning process is high. Positively, many students continue speaking English outside the class which does not happen in Brazil. It is common to see people speaking both English and Arabic in the same conversation here. Speaking must be the priority in learning any language. Grammar should be learnt almost by “accident”. Many teachers may question this statement. It is, however- according to this writer- more important to be understood than speaking in a grammatically correct tongue. It is also important to understand when spoken to in this tongue so listening exercises are equally as important. In the current mindset of teaching English in Brazil, these goals will be difficult to reach. Teaching English in Brazil does not favour the student, BUT it does favour the Language Centres. Brazilian businesses are becoming multinational companies. Many of them are very important players in the economic world. Vale, Anheuser-Busch InBev/Companhia de Bebidas das Américas AmBev, Gerdau, BRF Foods are some with international representative offices in many countries. Unfortunately, many Brazilians lose these opportunities because of low proficient language skills. On the other hand, there are many multinational companies installed in Brazil, as the Volkswagen Group, Samsung, Nestlé and many others. Here too, Brazilians do not apply for a transfer to another country as they are only able to speak Portuguese. Brazilians are accepted all over the world as there are no political barriers between Brazil and the rest of the world. Brazilians are seen as happy, friendly, jovial people. It is, therefore, sad that they can not use all the opportunities given to them in international waters. And only because they are not able to speak English. I advocate the hypothesis of Brazil’s isolation: it isn’t legal, but it is rightful. Portuguese as a language is one of the reasons many Brazilians become isolated. Many Brazilians do not even try to travel to another country because of this. There is, however, another side to this coin. If professionals, such as teachers, students and even in the corporate world, would want to come and work in Brazil, they should be able to speak Portuguese. Interchanging of cultures is restricted because foreigners lack the ability to speak Portuguese. Foreigners are careful of spreading their wings towards Brazil as the nationals mostly speak Portuguese and not English as in other countries. It is even more difficult if a family accompanies a professional. Schools, street signs, product labels and other public information are in Portuguese only. Luckily there are some English International Schools in Brazil although extremely expensive. The absence of non-bilingual information is a recurring complaint from foreigners in Brazil. Businesses and universities have given up trying to invest in Brazil. 1) All information concerning a specific area should be translated efficiently into both languages. 2) It is difficult to find professionals who are fluent in both languages. These professionals should be “ambassadors” conversing to both sides of the spectrum. The following is a rarity in Brazil: university courses in English or Spanish. Satisfied students if a lecture should dare to lecture in English. Brazilians reading newspapers, magazines or a business plans in English. It is the exactly the opposite in Middle Eastern countries. Because they are inviting the world to invest in their countries. There is an exchanging of social and cultural diversity. The result is a “Babel” of confusion but eventually everybody would be understood in a very broken English. But it will be English!!! I solved my problem to learn English with personal tutoring. Ignore all other language centres. It is almost impossible to learn to speak any language fluently if you do not converse in it on a “one-to-one” basis. Find a good professional that already developed a method to teach peer-to-peer. Invest your money there! The results will be faster and more efficient than an English centre. I only got to develop my skills this way, both in Brazil and where I live nowadays because I continued studying English with a tutor. The best way, however by far, is to go and live in the country of the language you are trying to learn, in a homely situation where no one speaks your language. I give my word you will be able to speak English in six months… or starve.